SRINAGAR: Former Chief Minister and president of National Conference (NC) Dr. Farooq Abdullah has said NC president Dr Farooq Abdullah said that arresting separatist leaders would add fuel to the fire and worsen the situation in Kashmir. 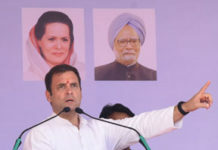 Abdullah made these remarks while reacting to a question on the recent arrest of Jammu Kashmir Liberation Front Chief, Yasin Malik by the National Investigation Agency. “I am deeply saddened by the news, nothing will be achieved by arresting people like him. Their suppression will add fuel to the fire. Such things shall not happen,” he told reporters on the sidelines of an election rally in Srinagar. Asserting that Kashmir issue is not a consequence of lack of development rather than a political problem, Dr Abdullah reiterated that dialogue between India and Pakistan was the only way forward. The issue has held hostage the development of the sub-continent. Our party has all along maintained that the dialogue between the two nations affords a way out, Dr Abdullah said. 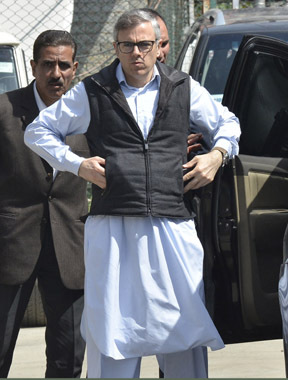 Dr Abdullah, who is the NC candidate for Srinagar Parliamentary constituency, appreciated Pakistan Prime Minister Imran Khan for his statement wherein he has cast off war as the option between India and Pakistan. These words are coming from the PM of our neighboring country, a former cricketer. However on this side our PM Modi is still speaking the language of a tea seller, he alleged. 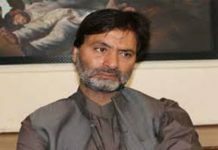 He said NC too vouches for a time bound result oriented dialogue between India and Pakistan. 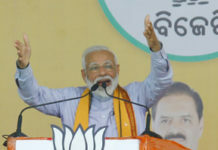 “We firmly believe the increased bonhomie between India and Pakistan will usher in a new era of peace and prosperity in our state and in the sub-continent in general”, he added. 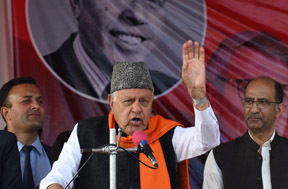 Meanwhile, former Chief Minister and president of National Conference (NC) Dr. Farooq Abdullah has said that Pakistan Prime Minister Imran Khan wants Prime Minister Narender Modi’s victory in the forthcoming Parliamentary elections. Speaking to reporters here in Srinagar, Omar said that PM Modi needs to answer why Pakistan wants his victory. “Modi needs to answer this. Until now Modi Sahib was telling the country that only Pakistan and its sympathizers want BJP to lose. Today it is clear that only Pakistan wants him for a second term”, he said.